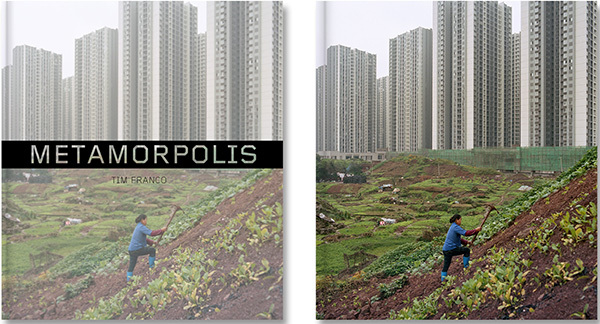 Metamorpolis is 112 photography book by Tim Franco with a forward by Frederic Edelmann and texts by Richard Macauley. It is a 25 x 29 cm hard cover book published by Pendant ce temps available online and in certain book store. Chongqing is one of the fastest developing mega city in the world. Located in central China, its massive population is getting urbanised at en incredible pace.